Disclosure: we are Sea Life ambassadors so have been given annual passes for the purpose of visiting throughout the year to blog about them! 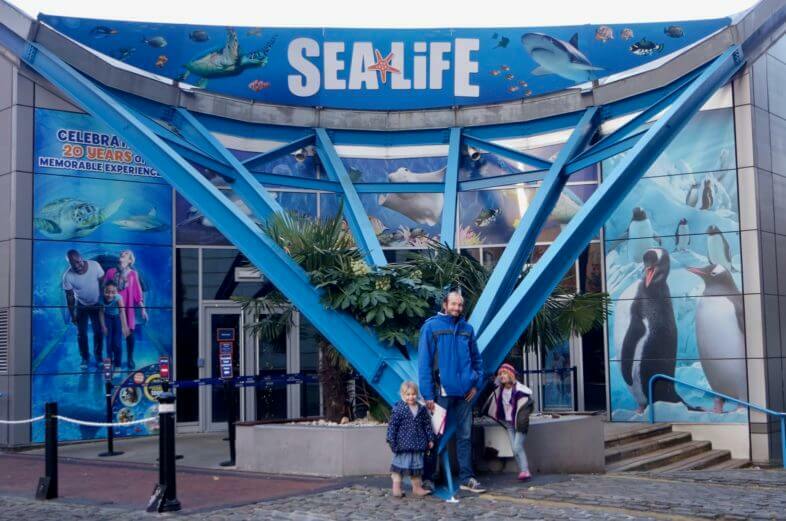 On Sunday we headed to the Sea Life Centre to visit the penguins and check out their Christmas “Meet Santa” event. 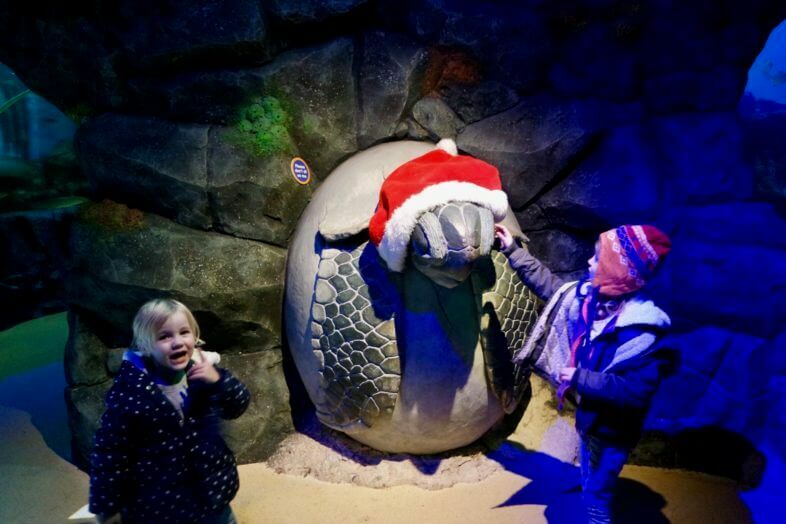 The girls never get tired of visiting the centre, so they were eager to go & check on their favourite sea creatures, and find Santa in his grotto! The Sea Life Centre welcomed some new Gentoo penguins into the colony earlier this year from Calgary, and there will be some more joining them very soon too – all the way from Denmark. Six males and three females are being introduced as part of the “Breed, Rescue, Protect” programme, and you can see a video about their journey here on YouTube. Fingers crossed there will be some chicks at some point in the future! 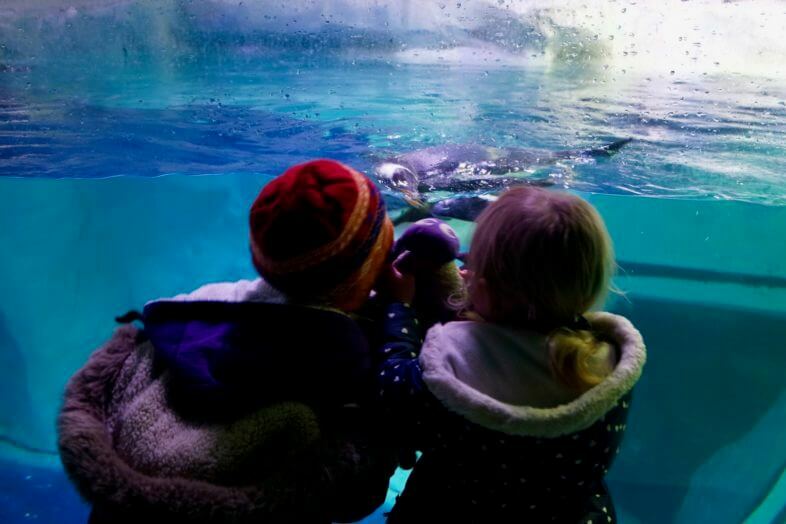 Georgie and Lydia adore the penguins and it is always great to see them enjoying theirselves in their enclosure. 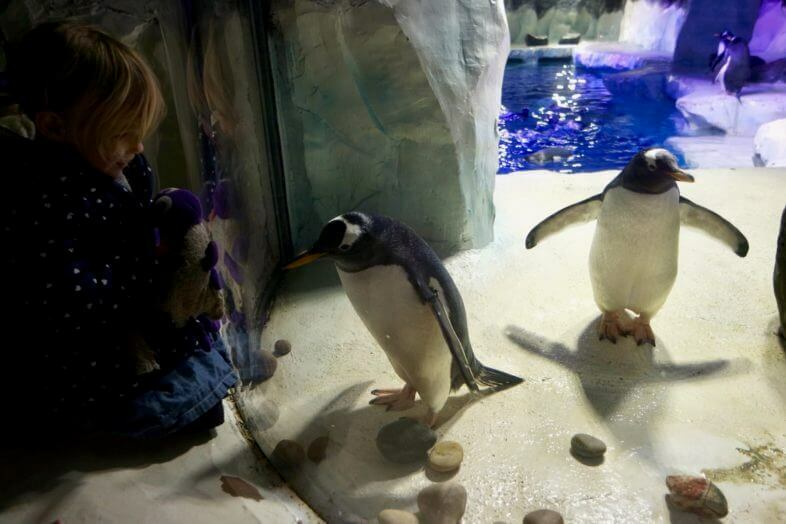 The penguins nearly always come over to see the girls – especially when Lydia waves her Ewan toy around near the glass! Once we managed to drag the girls away from the penguins, we enjoyed the rest of the Centre as we walked around. There always seems to be so much to notice that you have missed on an earlier visit, and they are always making changes and improvements too so there is often something new to see each time we go. 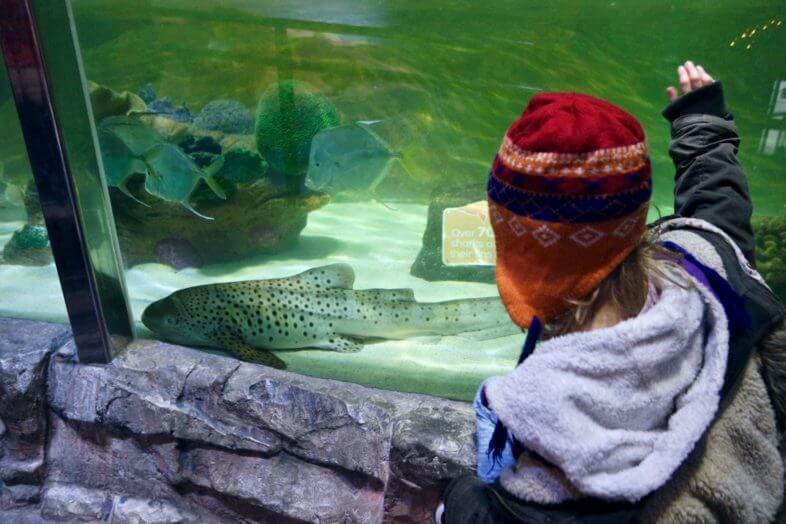 Georgie found “her” Zebra Shark, Zebedee, who has now grown quite large and has been moved into the Shark Lagoon tank. We have been visiting since this shark was a few weeks old, and Georgie loves to find it and check on it with each visit. 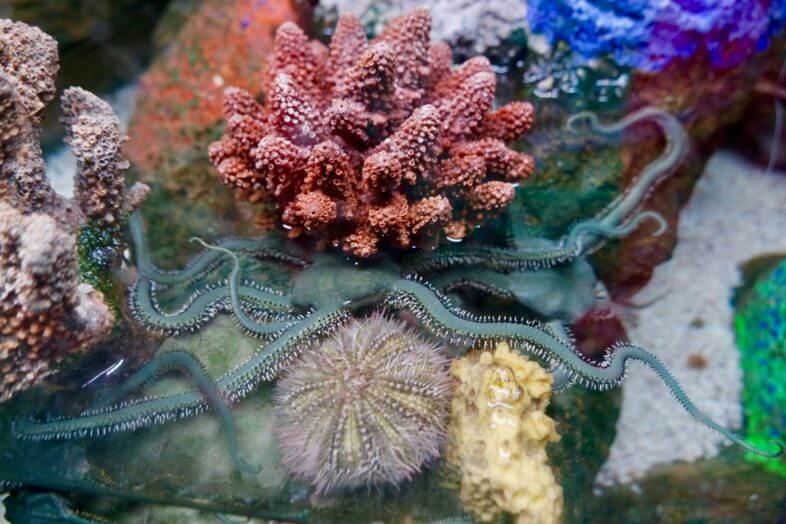 I think it’s great that you can follow the growth and life cycle of so many sea creatures at the Centre, and the staff are always happy to answer questions about them while they go about their jobs caring for them. 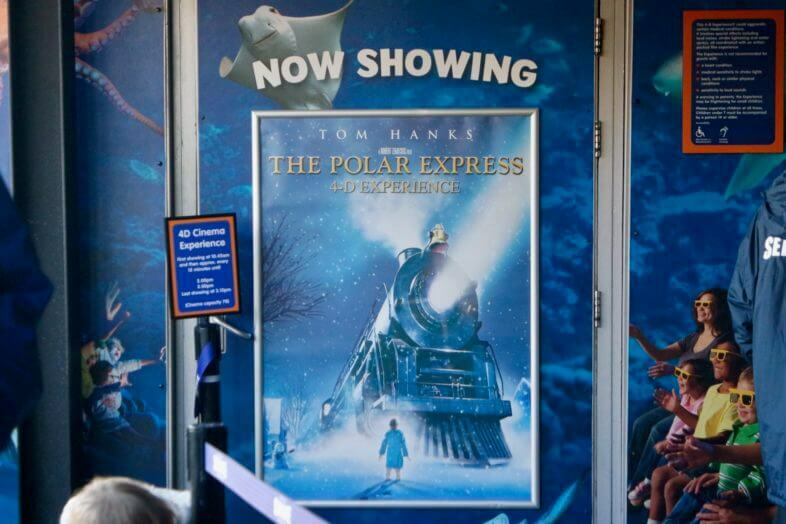 For the festive season, the Sea Life Centre have The Polar Express on at their 4D cinema. We often have to skip the cinema there as it sometimes freaks Georgie out, but this is such a lovely film that we all really enjoyed it (I did still have to dole out some cuddles, especially when one part made her jump and squeak!). 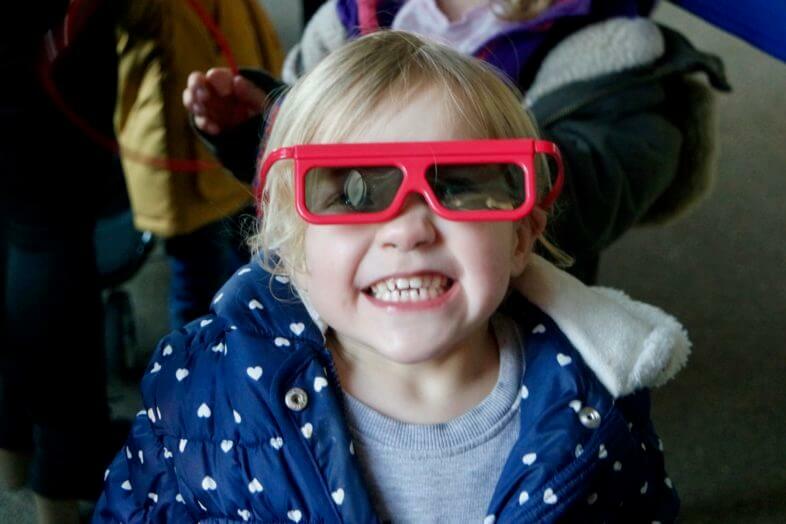 This shortened version of the film works really well in 4D, and they make full use of the extra effects the cinema is capable of to bring the film to life. 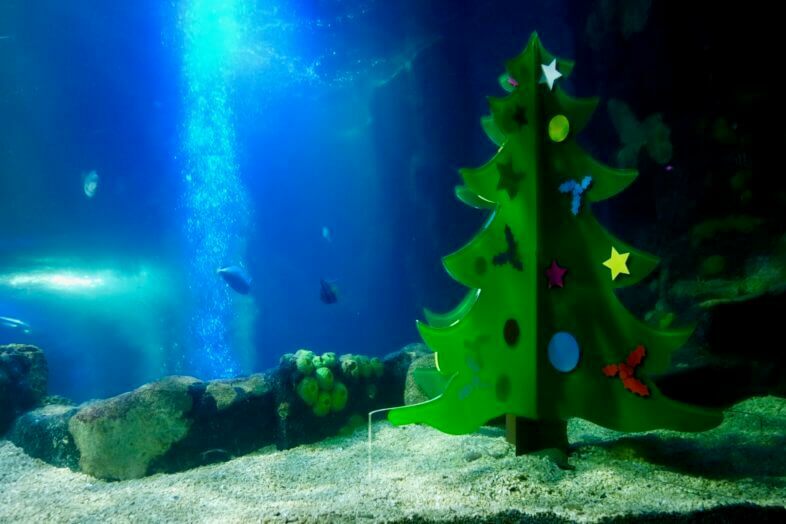 Down to the ocean tunnel with the new 360° view of the ocean tank, to hunt for the special underwater Christmas tree. Georgie and Lydia were really amused that the Sea Turtle statue was wearing a Christmas hat! Lastly before heading home, was a visit with Santa, of course. 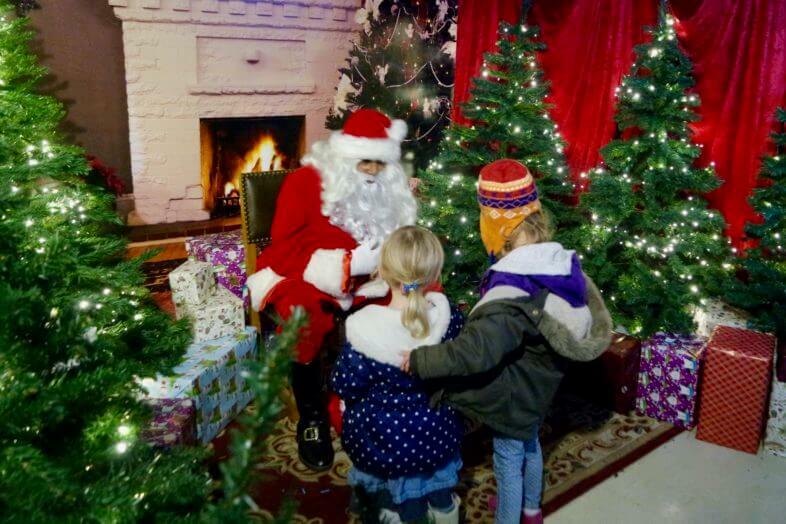 Santa’s Grotto is situated just before the soft play area & shop, and is very Christmassy! We had to queue for a little while but I think that was partly due to timing – Santa had been on a break and had to catch up a bit. We were able to watch the penguins through their underwater windows for some of the time we were queuing which was nice. The girls went up together and spoke to Santa, before being given gifts each and smiling for a photo. They had an official photographer there and photos available to buy (the prices start at £9!) but they didn’t mind us taking our own photos at the same time, which was nice – especially as theirs are quite expensive. 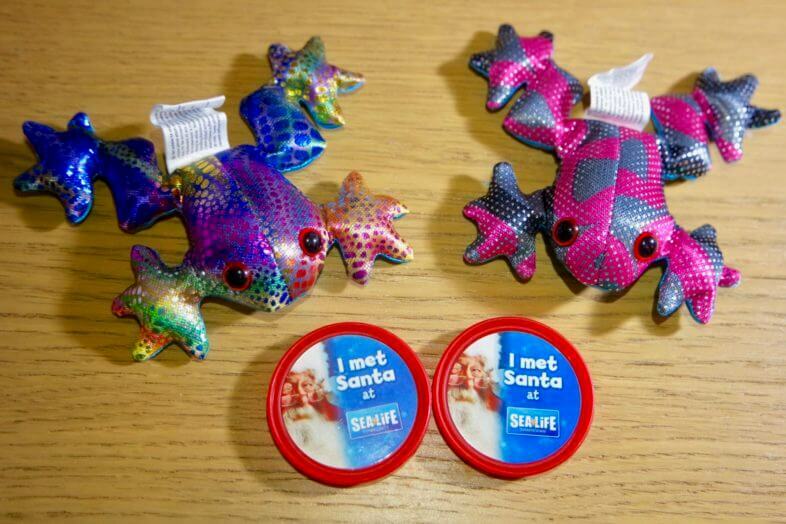 Georgie and Lydia were each given a special “I met Santa at Sea Life” pop badge and a toy tree frog – they were delighted with these, especially as we have a bit of a pop badge collection on the go now! We enjoyed our afternoon at the Sea Life Centre and it is good that the Santa visit & gifts are included in the standard entry price. As everything is indoors, it is always a good morning or afternoon outing in the cold weather, and getting to meet Santa is a nice bonus during the festive season! 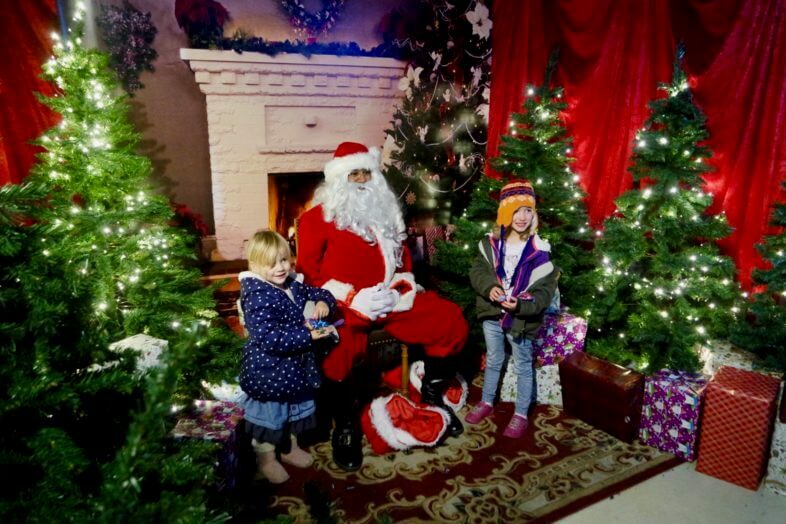 The Meet Santa event is running until 23rd December, and you can save some money on the walk up entry price by booking ahead of time on their website – there are often vouchers to be had if you look around as well.